Wow, we’re officially 15 days strong into the New Year and halfway through the first month of 2018! What is your New Year resolution? Or perhaps, you chose a word for the year like intention? Whatever your desires are to create a better you, we all need inspiration! 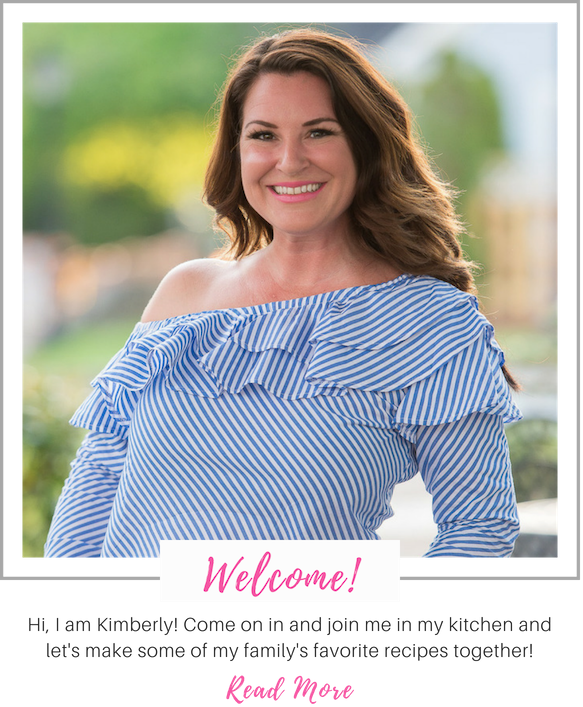 I’ve partnered with Dole, because now is the perfect time to check in on our goals and stay inspired! 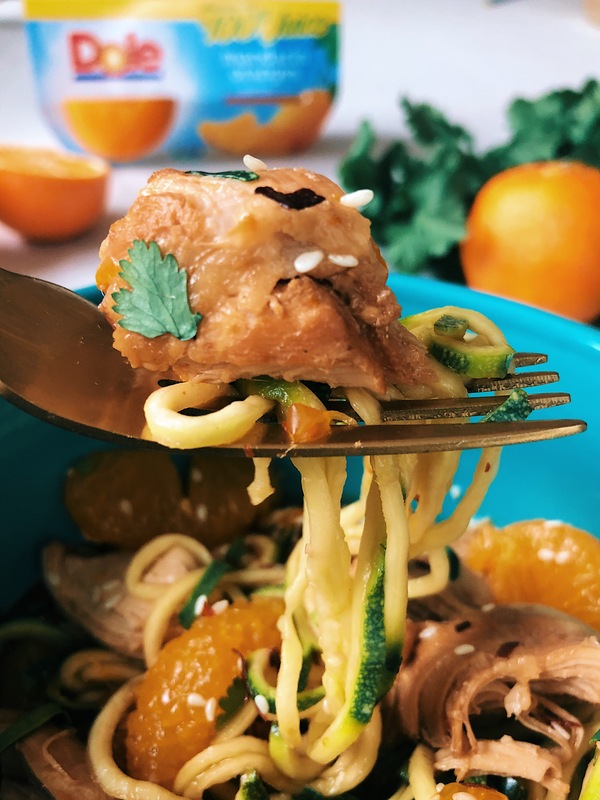 Most of us want to get healthier this year, and what better way than a new recipe like this Healthy Mandarin Orange Chicken with Zucchini Noodles that will help us stay on track for a New Year, New You! One of my resolutions is to eat more fruits and vegetables and get better at weekly meal prep. My diet typically consists of high protein and low carb, but it’s so important to get the health benefits that fruits and veggies provide. I eat a lot of salads, but when I reach for a snack it’s not always the mandarin oranges or red bell pepper that I would be better off choosing! 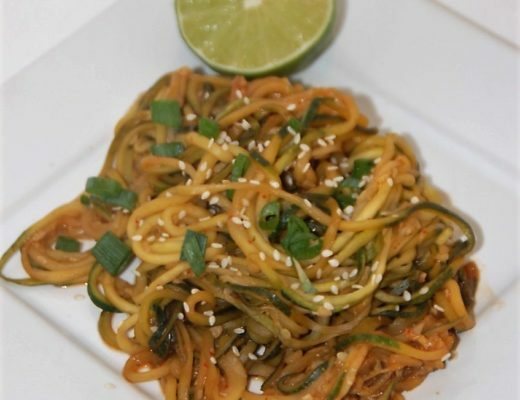 This recipe incorporates a delicious sweet fruit, a vegetable low in calories and a protein to create a well balanced meal full of flavor and health benefits! 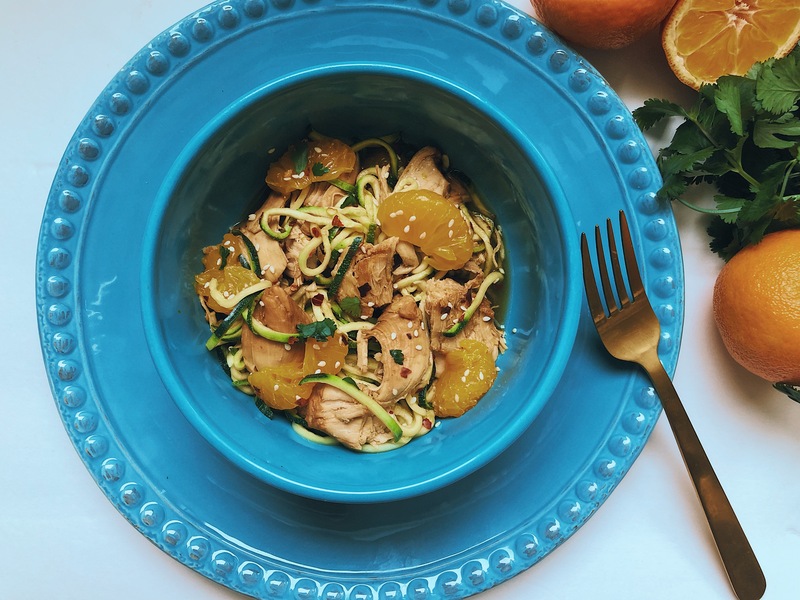 I used convenient all natural pre-packaged Dole® Mandarin Oranges in 100% fruit juice, as one of the main ingredients that helps flavor the chicken and zoodles with a sweet and zesty sauce. 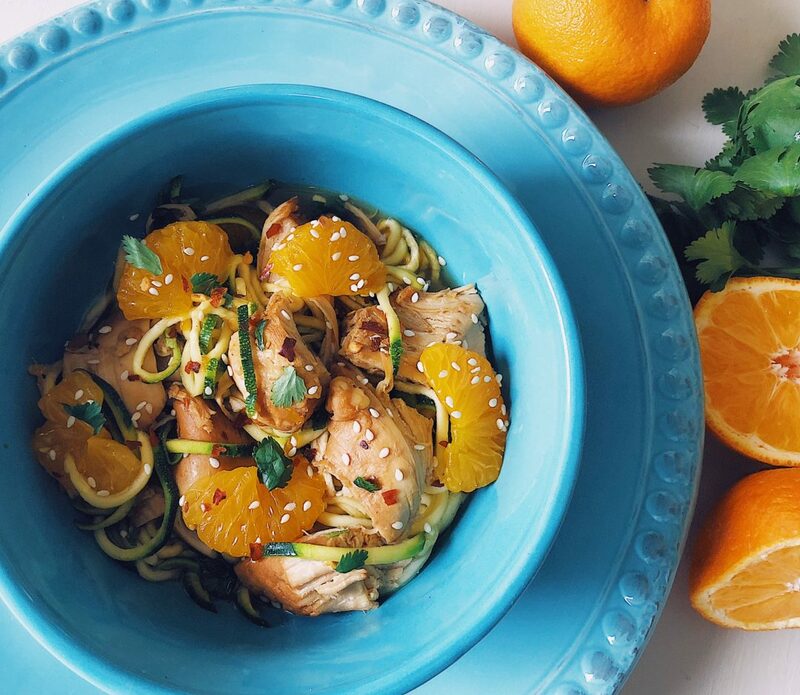 Mandarin Oranges are also a great staple to have in the pantry for snacking and for the kiddos lunch box! 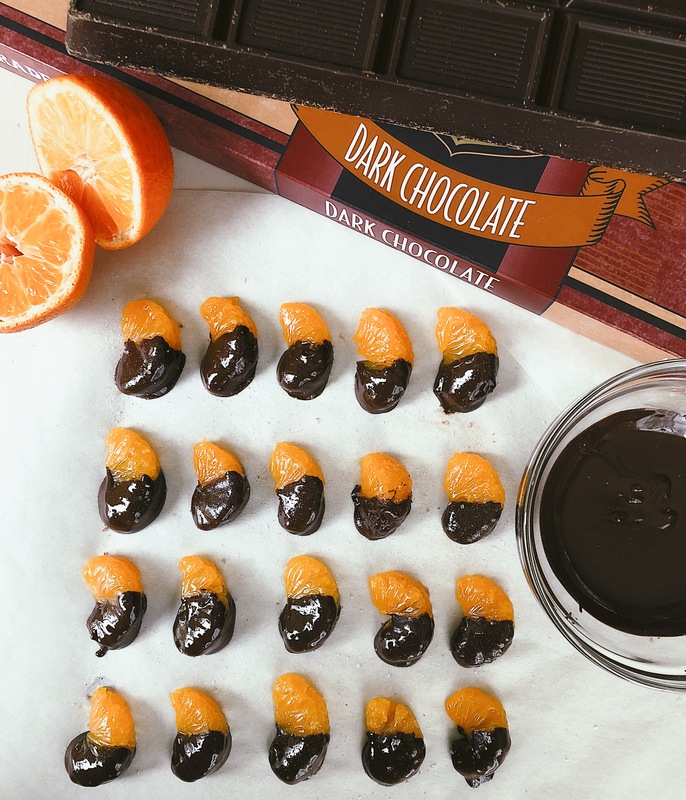 I also like to dip them halfway in melted dark chocolate, place on parchment paper, sprinkle with sea salt and refrigerate for 10 minutes until the chocolate hardens for the perfect healthy sweet treat! I got inspired by Dole® Dippers™! 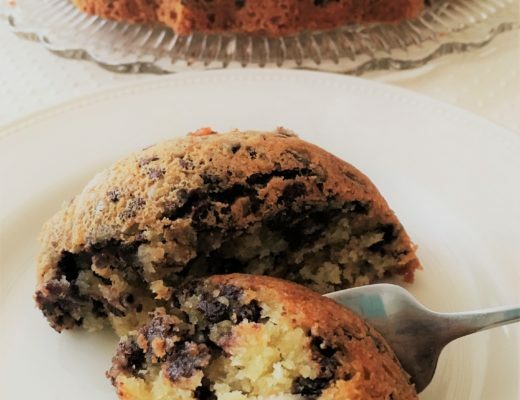 You can also add thse Banana Muffins that are loaded with protein to your recipe arsenal to reach your fitness goals this year or try any of our healthy recipes on the blog like this Crockpot Cuban Chicken! 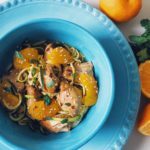 This Mandarin Orange Chicken is so easy and can be cooked in either the crockpot or pressure cooker. 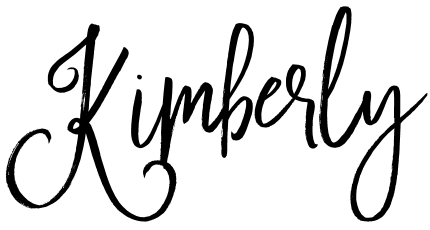 If you are trying to be better at meal prepping this year like I am, go ahead and double the recipe and portion out the chicken and noodles in separate storage containers and refrigerate for the week! Give yourself a huge pat on the back for working hard this year to reach your personal goals, and cheers to a New Year, New You! 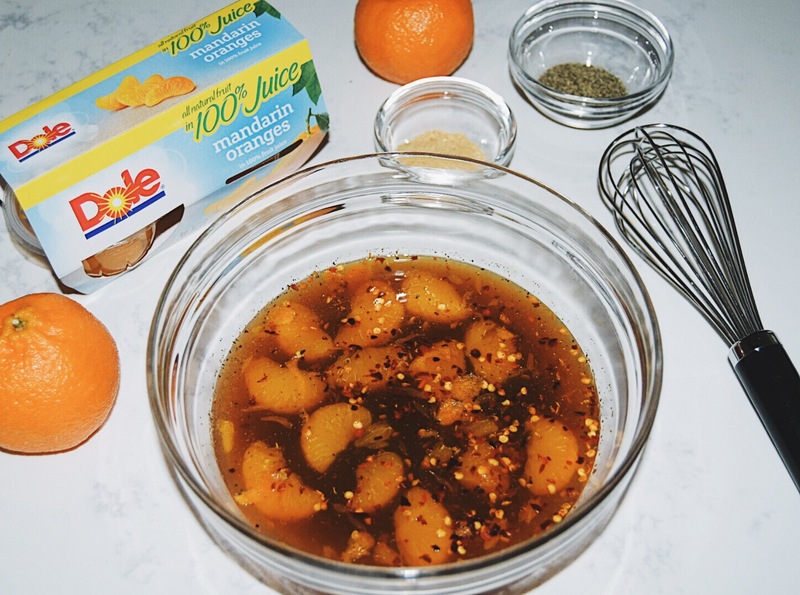 A huge thank you to Dole Packaged Foods for sponsoring this post and for their healthy convenient snacks, frozen fruit, and committed social responsibility to #SharetheSunshine. Grease your crockpot with cooking spray or insert liner. 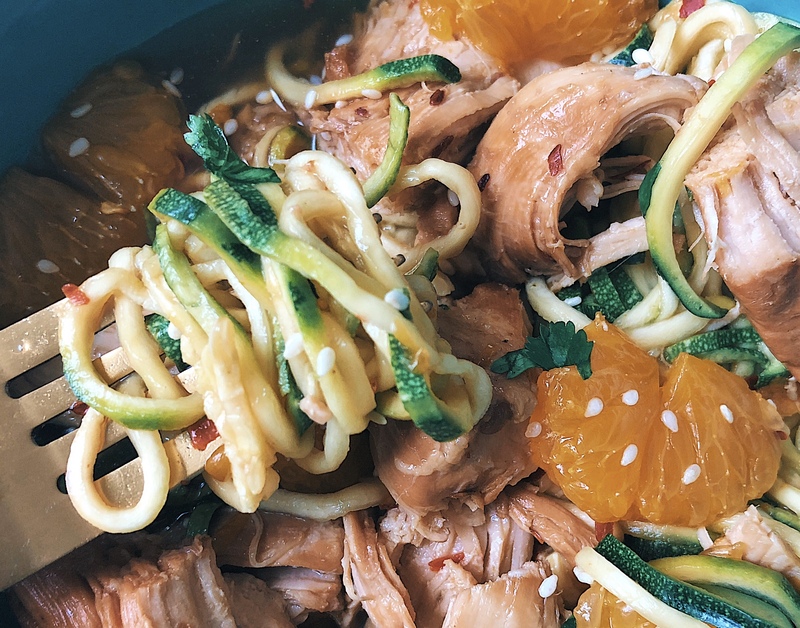 In a medium bowl, mix together the mandarin oranges with juice, chicken broth, orange juice, soy sauce, rice vinegar, brown sugar, garlic, red pepper flakes, ground ginger and black pepper. Place chicken in the pot and season with salt. 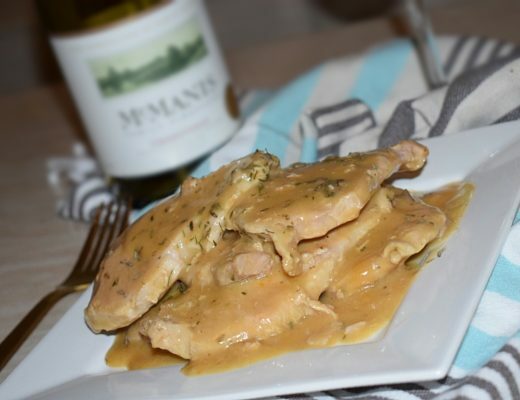 Pour sauce into crockpot covering chicken. Cover and cook on LOW for 4-6 hours or HIGH for 2-3 hours (chicken should reach 165 degrees in middle). Remove chicken from the crockpot with a slotted spoon, cut into chunks, cover and set aside. For a thicker sauce, mix cornstarch with 3 tablespoons of water and stir into crockpot. Cover and cook on high and stirring often for approximately 15 minutes, until thickened and well combined. Add chicken back into crockpot and stir until coated. Grease pot with cooking spray. Pour half the sauce into pressure cooker. Salt chicken and place in pot. Place lid on lock and make sure steam valve is closed. Place the lid on, press poultry and increase cooking time to 20 minutes. After cooking time allow a natural release for 10 minutes (chicken should reach 165 degrees in middle to be done). Remove chicken from the pot with a slotted spoon, cut into chunks, cover and set aside or serve if not making thicker sauce. For a thicker sauce, mix cornstarch with 3 tablespoons of water and stir into pot. Press Slow Cook High and cook on high stirring often for approximately 15 minutes, until thickened and well combined. Add chicken back into pot and stir until coated. The cornstarch to thicken the sauce is optional. I have had this meal both ways and love them both. 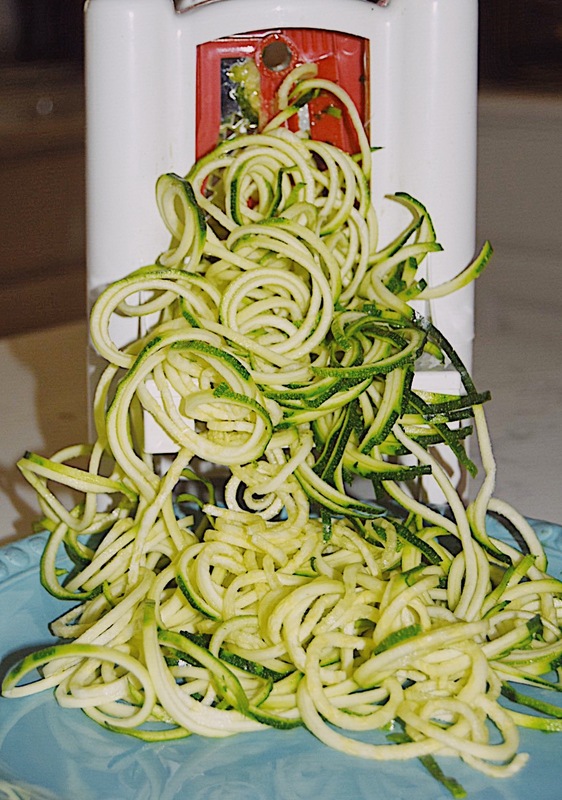 Serve with zoodles, rice, cauliflower rice or over a bed of lettuce.